Picturesque location. The view from the sun lounger at the swimming pool. Helpful friendly host who gave us excellent recommendations on arrival as well as in advance. Great views and private pool. All made for a fantastic holiday and I would love to go back and do it all again. 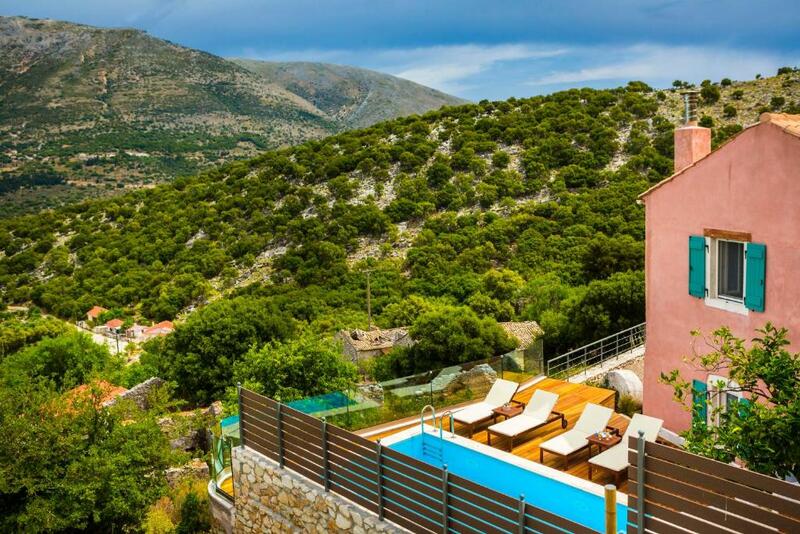 The Villa is very spacious and it has a great view over the mountains. In the evening it is very silent and you can hear and see a lot of owls. The small village Agia Efiami is only 8min drive from the villa, where you can find many restaurants and supermarkets. Damianos - the owner - gave us also recommendations and information about the places to visit. Many beautiful beaches can be reached in small distance by the car. We will for sure come again. Top! Gorgeous location, beautiful mountain views, great location to explore the whole island. Very friendly and accommodating host. The villa was beautifully furnished, perfect for families. Lock in a great price for Villa Vada - rated 9.8 by recent guests. The air-conditioned accommodation will provide you with a satellite TV, DVD player and i-pod dock. There is also a fully equipped kitchen, and bathrooms with a bath or shower, hairdryer and bathrobes. A washing machine and iron come standard. 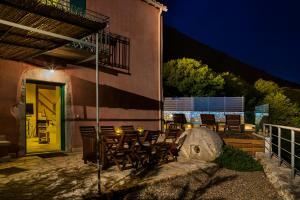 At Villa Vada you will find BBQ facilities. Agia Efimia Village with various tavernas and grocery stores is approximately 1.9 miles away. The owners can help with car rentals. Free private parking is possible on site. 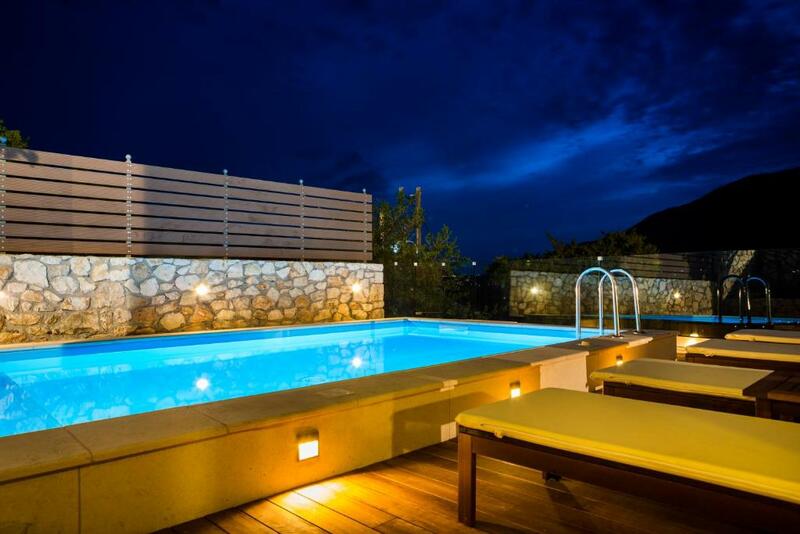 This property also has one of the best-rated locations in Ayia Evfimia! Guests are happier about it compared to other properties in the area. 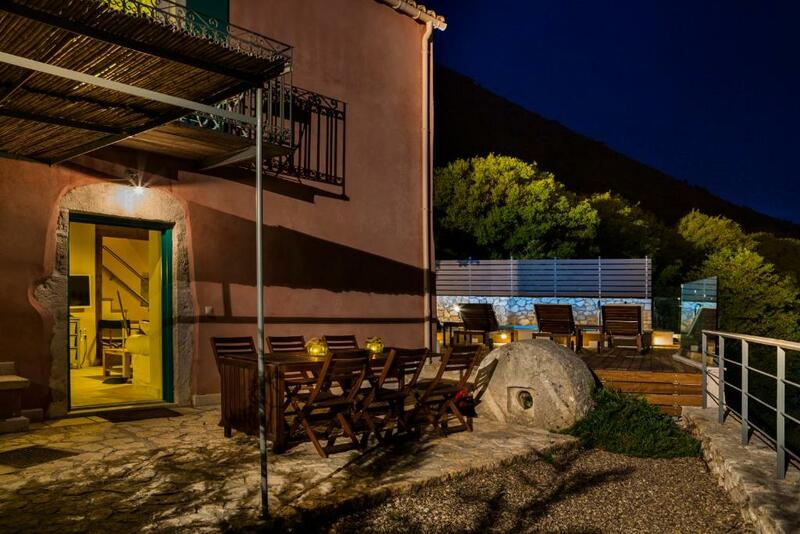 Villa Vada has been welcoming Booking.com guests since 22 Aug 2014. 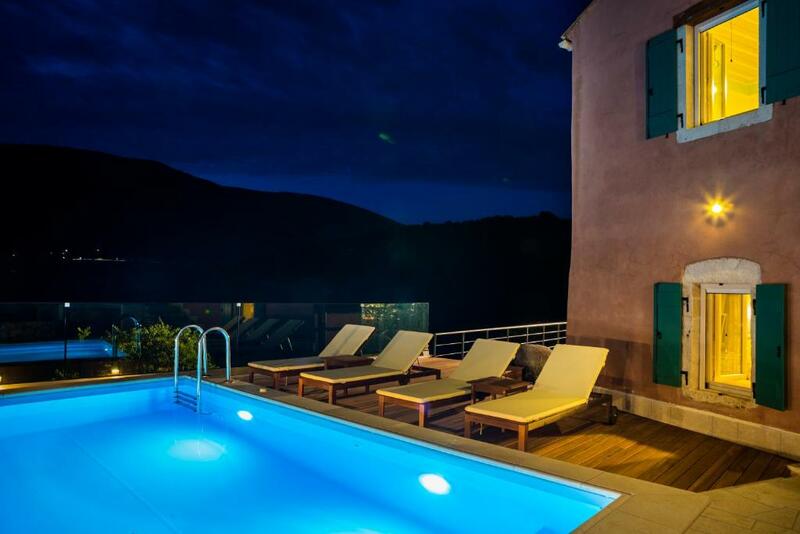 When would you like to stay at Villa Vada? -bathrooms with a bath or shower, hairdryer and bathrobes. 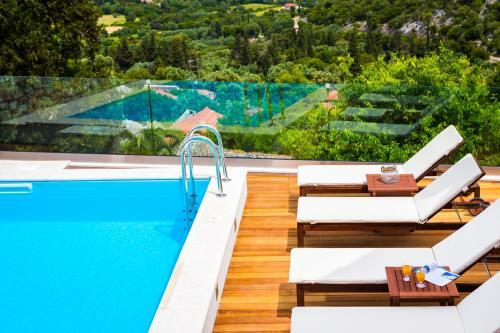 Set in an elevated position, Villa Vada offers breathtaking views to a quintessential Kefalonian landscape with vineyards, cypress trees and hills. 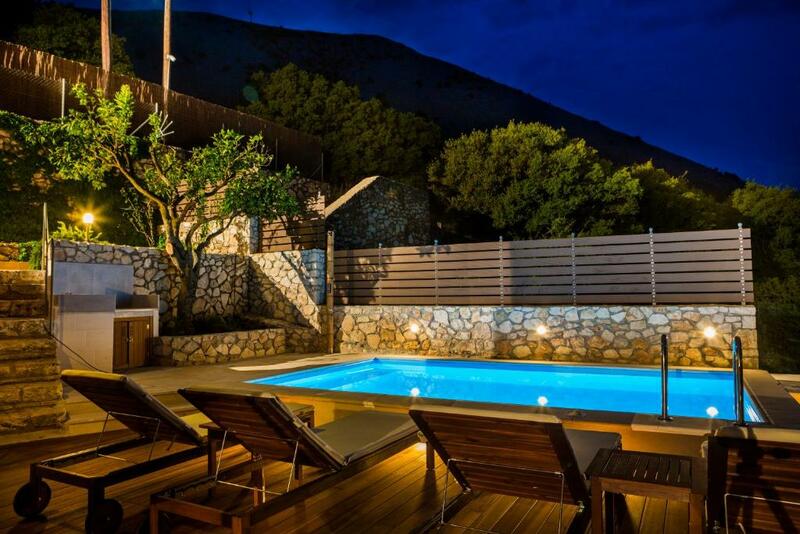 Villa Vada is ideally situated a breath away from dramatic Myrtos beach and close to major Kefalonia attractions. 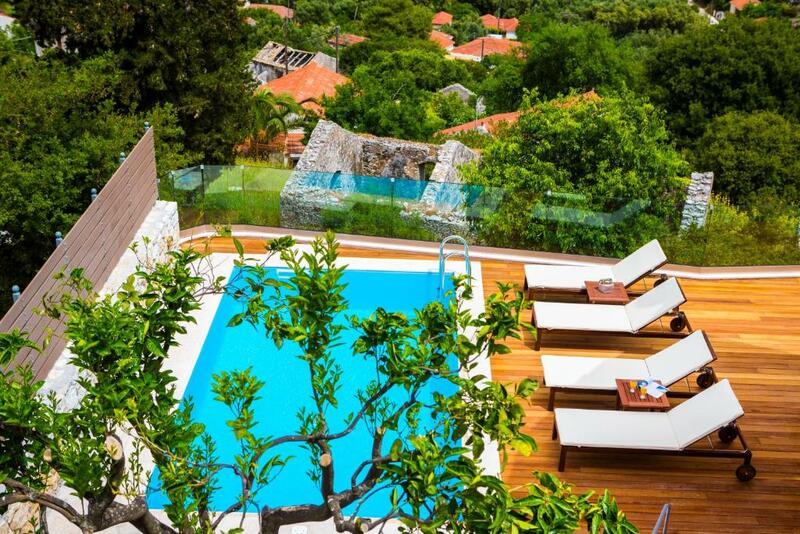 Split in two levels and uniquely designed to offer the ultimate in comfort, Villa Vada can accommodate up to 6 persons. The ground floor is spacious, with fully equipped kitchen and dining area, living room and a bathroom. Stairs lead up to the first floor, where are three charming, well appointed double bedrooms and a twin bedroom. A private drive leads to the villa, surrounded by olive groves, vineyards, cypress trees and forests, offering complete privacy and seclusion in a totally Mediterranean ambience, blending the beauty and aromas of nature. The luscious landscaped garden and the sun terrace are ideal spaces for outdoors living and relishing the sun in an excellent villa for families and friends. Grew up in Argostoli - Kefalonia and currently working as a Mechinacal Engineer here. I love traveling and have visited many places around Greece and the world, meeting people and get to know other countries' history and cultural heritage. Have been hosting for already two year years I could say that I m a reliable and experienced host, always available to help and guide our guests as i totally understand and respect visitors needs. The most important thing for me is to make sure you will have a great overall experience, to share my local knowledge, my passion and my love for this island with you! Kefalonia Is a legendary Island, the 4th biggest in Greece and its very important for a visitor to know exactly what to do, where and how. This is why i m always looking for our guests to be satisfied and visit the best available - must to see attractions of our island. We love our island and truly believe it's one of the most beautiful ones you can ever visit! It's a passion we would love to share! We also cooparate with big car rental companies offering much better prices than what they usual. Live your myth here and enjoy your stay! Looking forward to welcoming you here! Drakopoulata Village is a traditional village with great heritage! House rules Villa Vada takes special requests - add in the next step! Villa Vada accepts these cards and reserves the right to temporarily hold an amount prior to arrival. Please inform Villa Vada in advance of your expected arrival time. You can use the Special Requests box when booking, or contact the property directly with the contact details provided in your confirmation. Not a criticism but guests should note that there is another villa next door. However none of the facilities are shared.